Warehouse automation startup Ark Robot has won the QPrize - Make in India contest and will receive an equity investment worth close to $300,000 (Rs 2 crore) as prize money from chip maker Qualcomm. The contest was organised by the Department of Industrial Policy and Promotion (DIPP) in corporation with Qualcomm Ventures, the venture investment arm of Qualcomm Inc, as part of the ongoing Make in India Week. QPrize is a global seed investment competition that Qualcomm Ventures runs as part of its engagement with early-stage entrepreneurs. 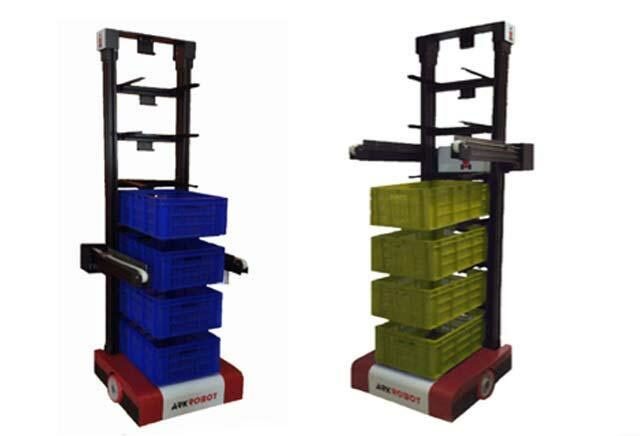 Bangalore-based Ark Robot, run by â€ŽiFuture Robotics Pvt Ltd, is an intelligent warehouse startup that serves clients in industry segments such as e-commerce, automotive and logistics. A bunch of robotic startups have mushroomed in the last few years to help e-commerce businesses retrieve huge volumes of products from warehouses. Ark Robot's larger rival Grey Orange had raised $30 million in a fresh round of funding from existing investors Tiger Global Management and Blume Ventures in August last year. Ark Robot was selected by a panel comprising DIPP secretary Amitabh Kant, Kris Gopalakrishnan (co-founder of Infosys), Ravi Gururaj (founder and CEO of QikPod.com), Sunil Lalvani (president of Qualcomm India) and Karthee Madasamy (vice president, Qualcomm Ventures India). Cardiac diagnostics firm Cardiac Design Labs, wearable tech startup NexGear Technology, drone data analytics venture TeraFlight and aerospace robotic company Threye Interactive were the other four finalists. Globally, Qualcomm Ventures has $500 million in assets under management and chases investments in the wireless the technology sector. It is already an active investor in several Indian startups. The US-headquartered chipmaker had announced in September 2015 that it will create an India-dedicated 'strategic' fund to invest $150 million (Rs 992 crore) in startups. Qualcomm Ventures, which essentially invests out of Qualcomm's balance sheet against a conventional VC fund that deploys third-party funds, has traditionally been backing startups in the country through its global fund. Qualcomm counts 20 Indian companies such as Housing.com, Portea, AppsDaily and Capillary Technologies, besides others in its global portfolio. It has backed ventures across the mobile ecosystem. It also invests in firms engaged in hardware, software platforms, e-commerce, healthcare, location based services and retail technology. Qualcomm, whose core business revolves around wireless communication technologies (it also has a presence in Indian telecom space, providing chips), had set up a lab in Bangalore to provide technical and engineering support to Indian firms.